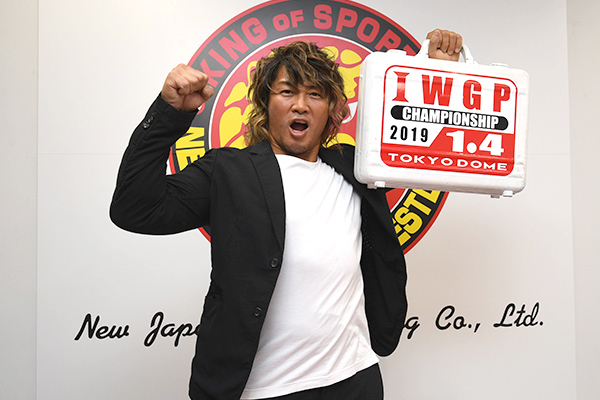 Tanahashi wins MVP Award of “Tokyo Sports Pro-Wrestling Awards” for the first time in 4 years, now a total of 4 times! Tokyo Sports Pro-Wrestling Award 2018 was announced on December 12th. Each winner is as follows. 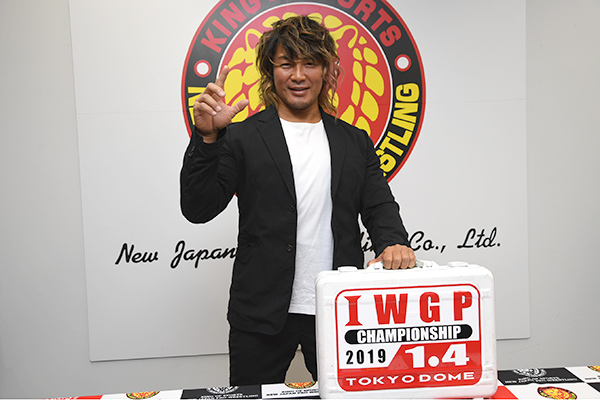 12th December 2018, Tokyo Sports have selected Hiroshi Tanahashi as the winner of their MVP award in their “Pro-Wrestling Grand Prize” competition in a press conference held at the NJPW corporate headquarters. In addition, the newspaper have chosen the IWGP Heavyweight Championship match between Kazuchika Okada and Kenny Omega on the 9th June, 2018 in Osaka as the winner of the “Best Bout” prize, with Tetsuya Naito winning their Technique prize. “It is I, 2018’s MVP Hiroshi Tanahashi. Since the final of the G1 Climax, I realized that I have once again become the center of the Wrestling world, whether it was during my fight over the challenger rights contracts or in the lead-up to WK13. I’ve been continually thinking about how to appeal to people who have never seen professional wrestling. In the past, Pro-Wrestling was more broadly known in Japanese culture. The broadcast of “World Pro-Wrestling” every Friday at 8.00pm gave the public the chance to see legends such as Mr. Inoki, Mr. Choshu and Mr. Fujinami come to local gymnasiums and has made Pro-Wrestling more famous as a result. Since I first became champion in 2006, I’ve often said the mic after headlining the main event “Thank you very much for today” or “I love you!” and performed air guitar. There have been some fans, however who have felt “Why is he saying things like that?” but I’ve always tried to reply “I will be f-ing famous!” by demonstrating my in-ring ability. This year, I think, was the first year I actually achieved that goal. Although it is still only half-way through it’s run, movie I starred in has exceeded 100 promotional events and 1,000 media spotlights. It showed the passion of professional wrestling and was able to connect with the general public nationwide. From influencers in the business world to famous people, I’ve spoken to numerous people now who have felt that “Pro-Wrestling is really fun!” I’ve always strived to achieve my goal of “It would be great if I could be famous!” I didn’t expect to win the MVP award, so I’m pleasant surprised. Thank you very much. Mr. Okamoto: You said that you didn’t expect to win the MVP award. Is that because you haven’t been IWGP heavyweight champion this year? Tanahashi: It seems like the selection criteria are changing with the times. In my mind Pro-Wrestling is growing and becoming more widespread, it’s still a niche interest. That means that those niche fans love Pro-Wrestling with a burning intensity. In the past, the Tokyo Sports MVP grand prize has been a prize primarily to reward wrestling ability, but hearing the reasons for my selection, it seems like the criteria has expanded to reflect the ability to appeal to the public. Mr. Okamoto: Tanahashi, you have been the MVP 4 times, previously in 2009, 2011 and 1014. This makes you the same as Genichiro Tenryu and Keiji Muto. Only Antonio Inoki has been MVP more times with 6 wins. Tanahashi: Oh! What esteemed company! Mr. Okamoto: How do you feel about only having Antonio Inoki above you? 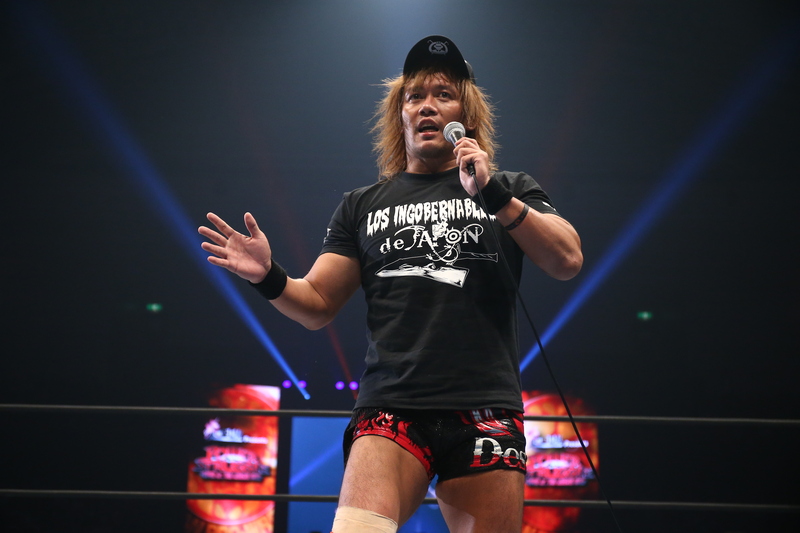 Tanahashi: Okada and Naito were the previous two winners right? Naito won it twice in a row too yes? Since 2018 is the last competition of the Heisei era, I am technically the final champion of this era. If I win it next year, I will be the first champion of the next era and also win it twice in a row. I said before that I didn’t expect to win it this year, but next year I’ll definitely be victorious. Mr. Okamoto: Certainly winning the MVP award in both eras would live up to your “Once in a century talent” nickname. Mr. Okamoto: You still have a couple more in you right? Tanahashi: (Smiling) Right. I still have a couple more in me. Mr. Okamoto: After seeing your victory in the last summer of the Heisei era and after winning the last MVP of the Heisei era prize, it sees your career has performed a V-shaped recovery after these difficult part few years. Do you feel emotional about it? Tanahashi: Often with the fans I found myself saying “In those difficult days…” but I’m not sure if I was correct. I could wrestle every day and train hard and that made me really happy. I don’t think I could have continued if I truly found those days difficult. I realized that being with my fellow wrestlers was the most pleasant thing. I feel pride to have my name associated with the Heisei-era, but perhaps not only that, but the story of New Japan is also the story of Tanahashi. I think I’m the first MVP in my forties… Is that correct Mr. Okamoto, was there someone else in the past? Mr. Okamoto: In their 40s? Recently there’s been Misawa, Muto etc. Anyway, how does it feel to win the award in your forties? Tanahashi: There’s always some sort of anxiety from the fans. “Is Tanahashi’s condition OK?” Please relax everyone, my condition is better than you might think. 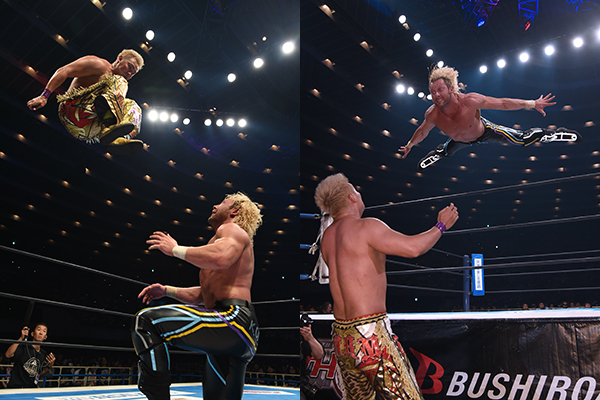 I have confidence that since I fought though this year’s long G1 Climax, motivated by my memories of previous good times, I was able to switch my mentality and approach it from the position of “I have accepted myself for who I am and will wrestle within my abilities.” Although my condition is not great, it is not something to cause concern. Mr. Okamoto: Is there anything in particular that relates to your age? Mr. Okamoto: In order to win the MVP twice in a row, it will be important to win at Wrestle Kingdom. Please tell us your thoughts. Tanahashi: Hahaha. Anyway, I’ll just say I’ll open the door. Mr. Okamoto: That’s got a nice ring to it! Tanahashi: Even though it’s my fourth time, I’m happier than ever before. Thank you! “We’ve done it for the second consecutive year. Even though there is a feeling that the story of Okada and I has ended after having four matches in a year and a half, I want to do it again someday. These matches have pushed me to the best physical condition of my life and wee were able to accomplish special things together. I’ve been able to combine that classic New Japan style with unpredictable newness. With the upcoming ideological clash at Wrestle Kingdom, we will prove that there is a home for every type of wrestling.